The renowned actress, Rue McClanahan, did not become successful overnight as she has without a doubt, paid her dues on her way up the entertainment ladder. Rue started with the small stage production Inherit the Wind which was shown at Pennsylvania’s Erie Playhouse. In 1969, she made her Broadway debut in Jimmy Shine opposite famed actors like Dustin Hoffman. She transited to TV in the 1970s, catching the interest of popular producer Norman Lear. Rue later got a guest role in All in the Family and her remarkable performance earned her a starring role in the spin-off Maude where she portrayed the character of Vivian Harmon. Rue’s most famous role till date was as Blanche Devereaux on Golden Girls. The role earned her an Emmy Award win in 1987, three more Emmy nominations and more nominations for a Golden Globe award. The famed actress played other notable roles in several television series and movies which are just too many to be listed. Rue who was also a writer before her death, penned an autobiography titled My First Five Husbands… and the Ones Who Got Away which was released in 2007. The celebrated entertainer was an animal lover and a gay rights supporter. Eddi-Rue McClanahan was born on the 21st of February 1934 in Healdton, Oklahoma to William “Bill” McClanahan, a building contractor and Dreda Rheua-Nell, a beautician. She was raised as a Methodist in Ardmore, Oklahoma alongside one sibling, Melinda L. McClanahan. Her educational background revealed that she attended Ardmore High School where she excelled in drama winning a gold medal in oration. She proceeded to the University of Tulsa where she graduated with a BA in both Theatre and German. Rue McClanahan’s marital record can be conveniently described as astounding – the iconic actress went through six marriages, five divorces, and an estrangement before her death. The history of her several marriages started in 1958 when she wed her first husband, Tom Bish. Their union came to an end in 1959 but not before the birth of her only child, Mark Bish. The same year she divorced Tom, she married Norman Hartweg but they called it quits in 1961, barely three years later. Her third husband – Peter DeMaio entered the picture in 1964, and even though their union endured till 1971, it ended in divorce. On the 6th of November 1976, Rue McClanahan wed Gussie Sam Fisher and by 1979, they were already divorced. In 1984, she tied the knot to Tom Keel, but as expected, their union was short-lived and came to an end the next year in 1985. 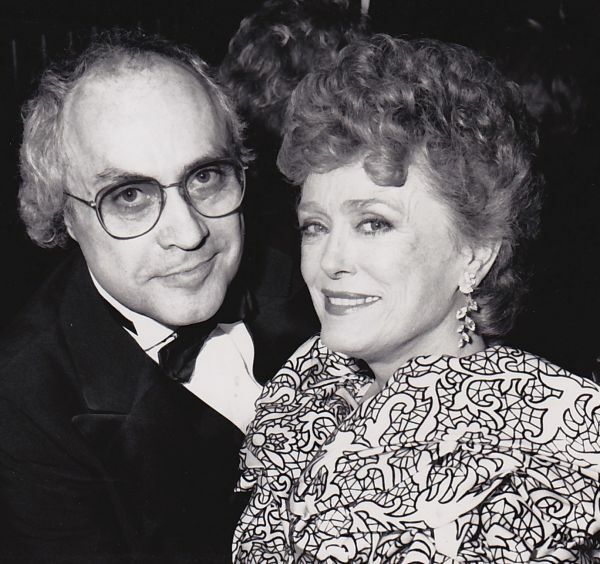 Rue McClanahan then married her last husband Morrow Wilson on the 25th of December 1997, they were still married till her death but had been separated since the 3rd of June 2010. Rue McClanahan’s net worth has been pegged at $5 million. This is a well-deserved amount considering the fact that her career lasted for several decades and that in that time, she played several iconic roles. Rue was averagely built with the hourglass body shape, she stood at a height of 5 feet 3 inches with a body weight of 60 kg. She had light brown hair with blue eyes, she wore a shoe size of 7 (US). On the 14th of December 2009, ‘Golden: A Gala Tribute to Rue McClanahan’ – an event scheduled to hold at the Castro Theatre San Francisco, California to honor the actress for her lifetime of achievements – was suspended because of her ill health. She was hospitalized at that time, undergoing a triple bypass surgery on the 4th of November the same year. An announcement came through Entertainment Tonight, on the 14th of January, that Rue McClanahan suffered a stroke while on recovery from the surgery. Another report came on The Ellen DeGeneres Show through Betty White, her co-actress in Golden Girls, that Rue was well on her way to recovery and that her speech had come back to normal. Read Also: Was Bea Arthur Gay, What Was Her Net Worth and Cause of Death? Eventually, the legendary artist passed away on the 3rd of June 2010 at the age of 76. Her demise occurred after she suffered a hemorrhage in the brain at the New York–Presbyterian Hospital. Rue’s body was not buried but was cremated, and her ashes are in the custody of her family. There was no funeral service in her honor, rather an official Facebook memorial page was opened by her family. During the 2010 summer, memorial services were held in LA and New York to commemorate her passing and that same year.